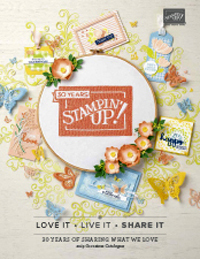 Stamp Sets: Soft Summer (Spring Mini Catalogue). Inks: So Saffron, Pumpkin Pie, Old Olive, Riding Hood Red. Accessories: Markers, Paper Piercing Tool and Mat Pack, Sponge Daubers, Riding Hood Red Taffeta Ribbon, Rich Regals Brads, Flower Fusion. 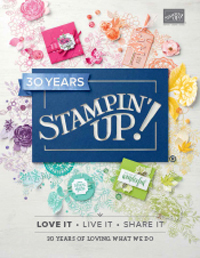 Cardstock: Whisper White, Pale Plum, Perfect Plum, Pink Pirouette Patterns DSP. Inks: Pale Plum, Perfect Plum, Old Olive. Accessories: Markers, Paper piercing tool and Mat Pack, Sponge Daubers, Flower Fusion Too, Soft Subtles Brads, Whisper White Grosgrain Ribbon. Sorry Chris…I like the Plum one….hee hee hee. This is my ALL time fave set fm the new mini and I am also having lots of fun playing with it. I love the way you have used the felt fusion flowers. They add a wonderful touch. Both are beautiful, Chris! If forced on the pain of torture, I’d choose the yellow one – probably because it sports the Riding Hood Red taffeta on the So Saffron because of the lovely contrast. No torture here, Lin Mei 🙂 I love that ribbon too, but I am sure that I am not getting the full amount on my reels, they don’t seem to last very long! 🙂 and yes, the ribbon shows up beautifully over the So Saffron.